Gonzalo Higuain has been left out of Milan's squad to face Genoa, with head coach Gennaro Gattuso suggesting the Argentina striker has decided he wants to join Chelsea. Higuain came off the bench during the second half of the Supercoppa Italiana defeat to Juventus last time out - a decision Gattuso attributed to the player suffering from a virus. 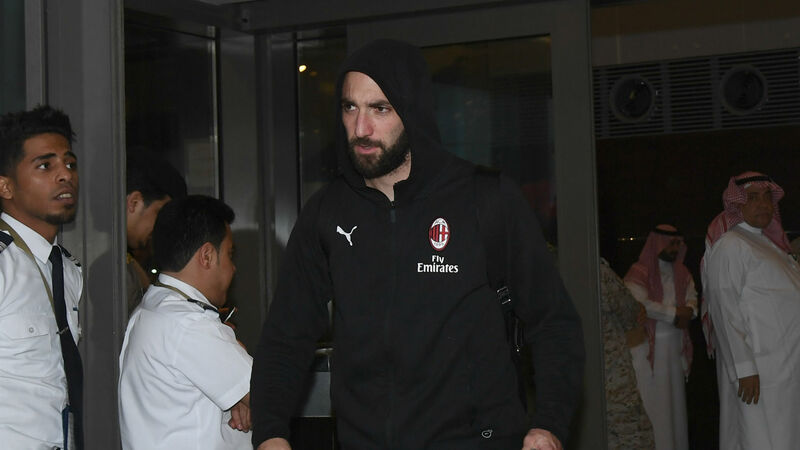 He was not listed when Milan tweeted their 23-man travelling party for Monday's match at Stadio Luigi Ferraris and, at a subsequent news conference, Gattuso questioned Higuain's professionalism and insisted recent speculation had taken its toll with Milan managing two wins in their past eight outings. "I want to be honest with you all. We had a poor training session today due to all these rumours," Gattuso said. "Right now we have to work with professionalism and determination, all these rumours have not helped us lately and we have to look ahead. "I am more worried about how to transmit calmness to the players and how to field the best team. Tomorrow [Monday] we will be without four players and I am a bit worried. We have to put it aside and play with enthusiasm. Chelsea lie fourth in the Premier League, although Sarri lambasted his players in the aftermath of Saturday's 2-0 London derby loss to Arsenal, accusing them of lacking motivation and a strong mentality. Eden Hazard cut a forlorn figure when selected once again as the Blues' central attacker – a role Higuain is expected to step straight into with Sarri seemingly reluctant to start Olivier Giroud and having left Alvaro Morata out of his latest matchday squad. The Spain striker has been linked with a move to Atletico Madrid.